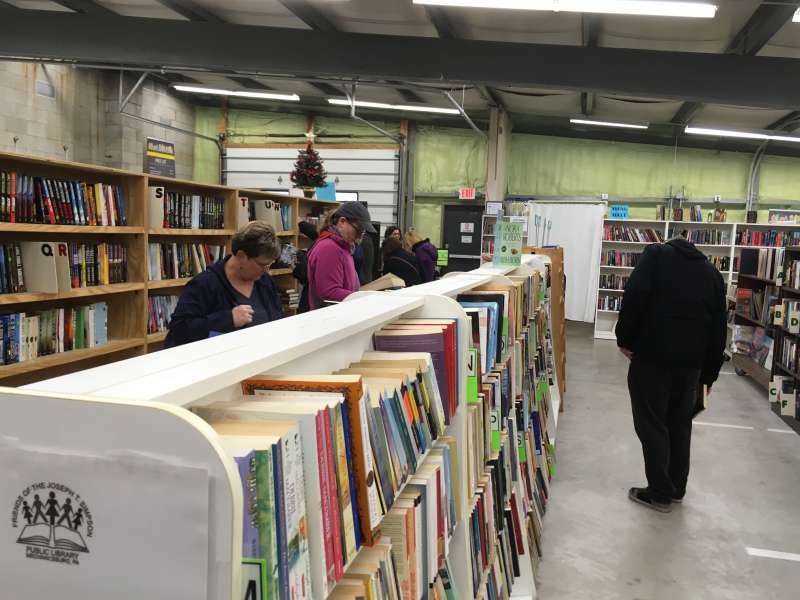 The Friends of Simpson Public Library three-day Book Sale (see times below) includes books, DVDs, CDs, puzzles and games, all new donations since the last sale. Books are organized for easy browsing by category. 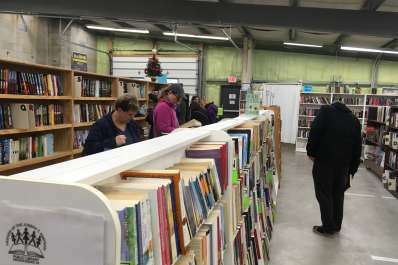 Most items priced $3 or less; children's books $1 or less. At Saturday and Sunday sales, there are no quantity limits; Friday's Members-Only sale has a 25 item per member limit. On Sunday, pay a flat-rate of $10 for each level bag of items (bag provided). Booksellers welcome, no taxes are collected, and credit cards are accepted. Sale begins Friday evening with a Friends member Preview night (annual memberships can be purchased at the door and start at $20). Saturday and Sunday sales are open to all. · Friday, June 21, 6-8 pm: Friends Members-Only Preview Sale (memberships start at $20 and are available for purchase at the door). · Saturday, June 22, 9 am-2 pm: Paperback $1-$2; hardcovers $3-$4; children’s 50 cents-$1. · Sunday, June 23, 1-3 pm: Bag Sale - All the items you can fit in a level bag for only $10. Some exceptions apply.